Departing from Turin our first stop will be Pollenzo, an ancient town of Roman origin. We’ll visit the Agenzia, formerly the private residence of King Carlo Alberto of Savoy, restored in 2004 and now home to the University of Gastronomic Sciences and the Wine Bank. We’ll proceed to La Morra for a brief stop at the Belvedere viewpoint, offering an open-air map of the Langhe’s vineyards. 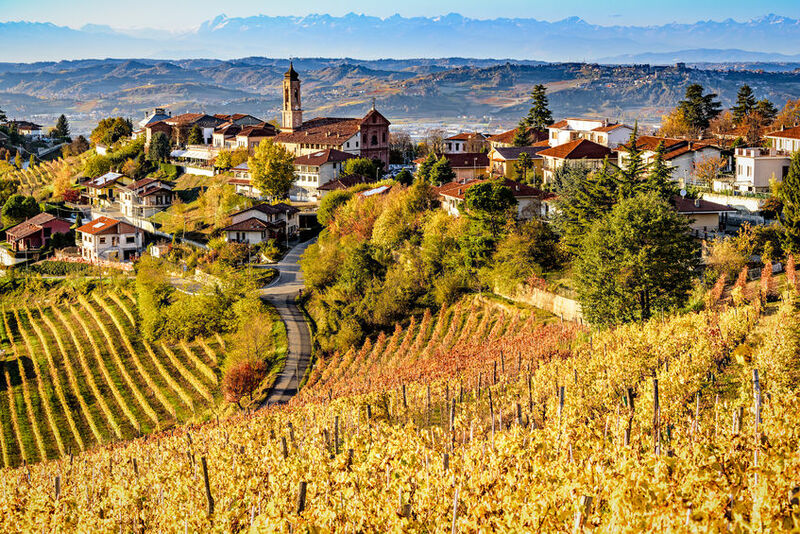 We’ll transfer to Barolo for a wander through the streets of the historic town that gave its name to one of the world’s most famous wines and we can agree to visit the historic Borgogno winery. Our tour will continue to Grinzane Cavour where we can arrange to have lunch at the castle.